Learn how to resize or scale many images within a few minutes using a simple property in Fireworks called Batch Processing. 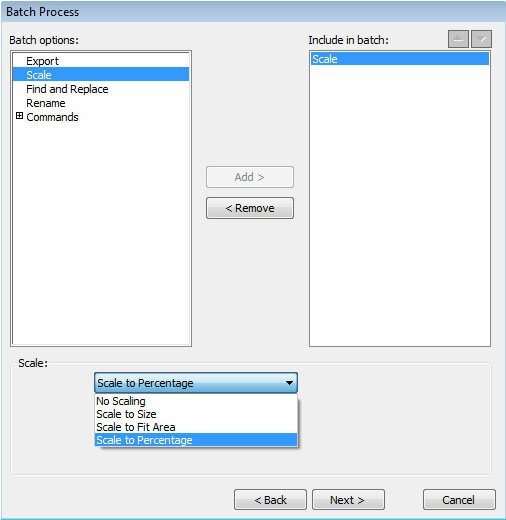 What is Batch Processing? It is a technique used to resize/export/rename/adjust/export several hundreds of images at one go. This fully automated technique is a great time saver for those who want to optimize/resize a bulk of images. Step 1 : Open Adobe Fireworks, then go to File > Batch Process and browse the folder which has the images you want to resize/scale. 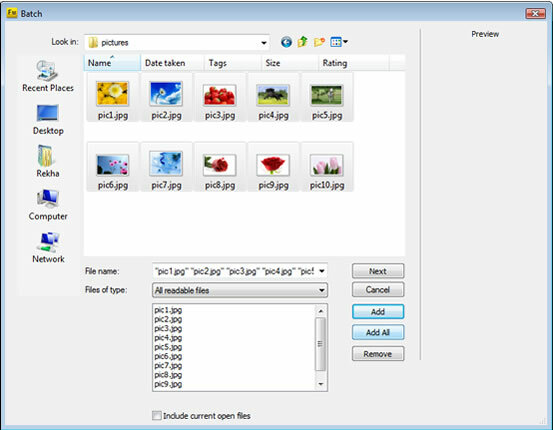 Step 2 : Now click the "Add All" button to add all the images present in the folder or choose the images that need to be resized, then press "Next" button. Step 3 : A screen opens with many batch options. 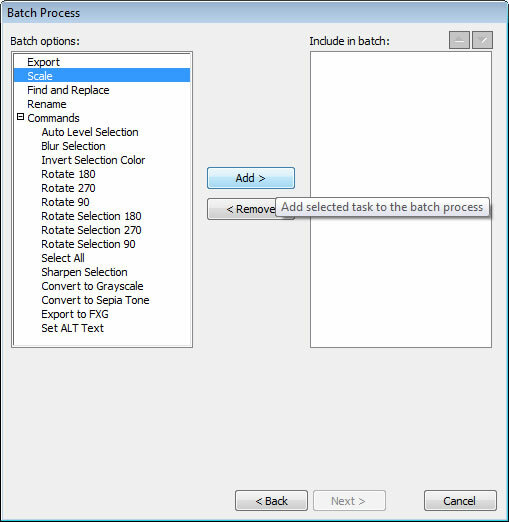 Here you can add a selected task for the batch process. Choose the task as "Scale" as we want to resize multiple image files and we need to optimize these images into a smaller size. Step 4 : The Scale option also has some options under it. Here I have selected the option as "Scale to Percentage" and the Percentage level as "25%". Then click the "Next" button. You can also choose scale to Size if you need the images to be a particular size. 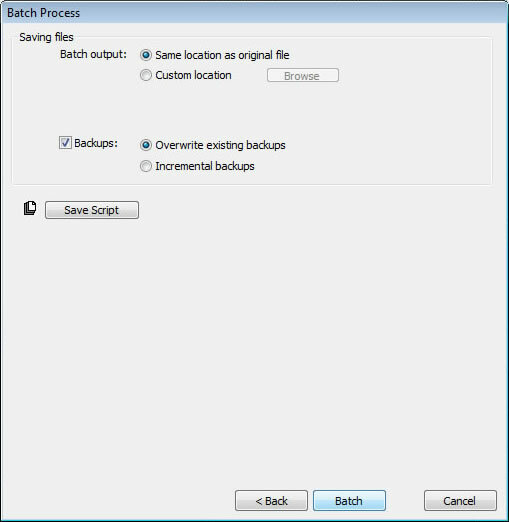 Step 5 : Choose an option for "Batch output" for the image files to be saved in the location. If you want the image files to be saved in the same location as the original files, then choose the first option else choose the next option. And click the "Batch" button to start and run the process. Step 6 : Click the "OK" button once the batch process is finished. Now browse the folder to view the cropped images using the batch process. 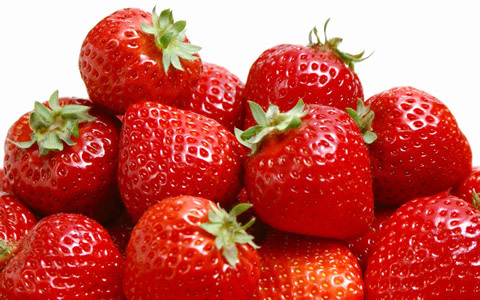 For example, The original size of the strawberry image is 1920px * 1200px and after the batch process(i.e, Scale to Percentage > 25%), the strawberry image size has been reduced into 400px * 300px. The strawberry image after the batch process can be seen below. You can use the same method to export, rotate, convert to grayscale or sepia tone, rename etc. multiple images.